Hilton has a partnership with Little League and offers 15% off at participating Hilton family of hotels worldwide for friends and family members. The best part of this rate is that it is also available for all Little League fans. Who wouldn’t want to be a fan of Little League if that helps you to save 15% off of BAR (Best Available Rate). Hilton used to have a dedicated website up for the partnership with Little League, but the previous web address no longer works (Hilton did some website updates and many pages were lost). The Direct connect (corporate booking tool) website for bookings and the discount code for worldwide use are still active, however. Note that this qualifies for stay/night credit and points. You can use the somewhat awkward direct connect website to make the bookings and it will automatically bring up the best available and Little League rates if available, but no other ones. You can access Little League’s Direct connect interface here. This is my preferred way of accessing the Little League and other discount rates. The Hilton rate search will show all the the rates including advance purchase, AAA, points, points + cash and so on. You just need to use code PGLL01 on the Promotion/Offer code box. You can access Hilton’s website here where you can execute the search using the Little league code. 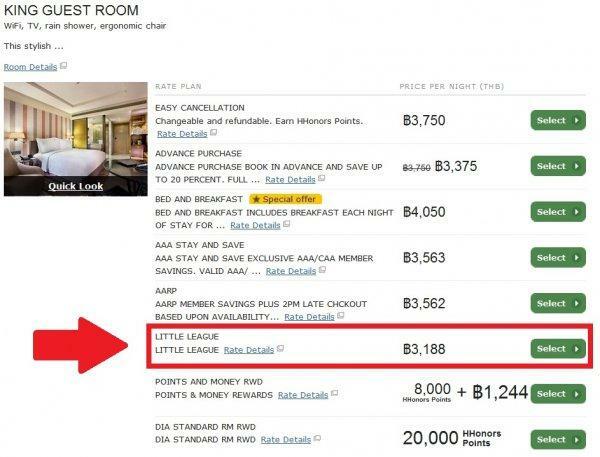 The Little League discounts the Best Available Rate by 15%. There are no special restrictions attached to the use of this rate plan. The MVP offer (read more here) tends to work great in the Americas and usually discounts by 20%, but it is not available elsewhere. 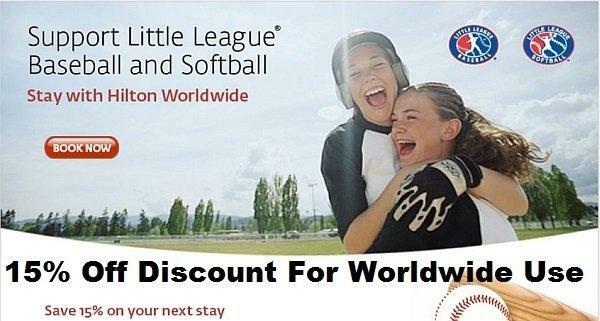 This Little League discount program is a small gem and gives 15% off at participating hotels worldwide.